Eisley performed to a packed house tonight at Good Records in Dallas, TX. 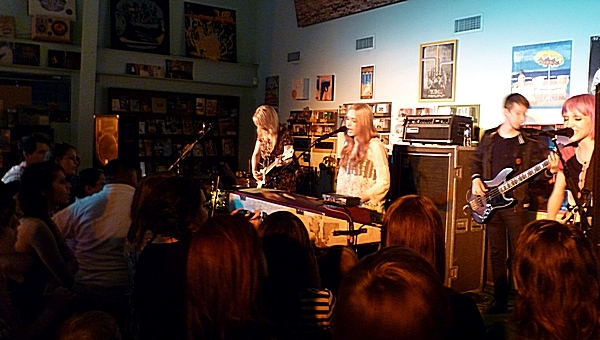 Their instore performance coincided with the release of their third studio album, The Valley, via Equal Vision Records. Below is a performance of "Better Love", a track from The Valley and the first of many great songs performed by the Texas natives.